As one gets to the end of the R44 you get to a T-junction with the Bot River to Hermanus road the R43. You pass the fishing villages of Church Haven and Hawston , which has long been the home of abalone fishermen. Unfortunately I did not have enough time to explore these two places and went straight on to Vermont. 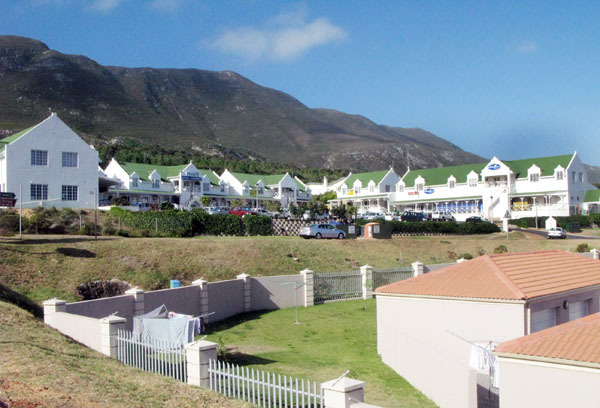 Basically Vermont, Onrus and Sandbaai are upmarket suburbs of the major town in the area, Hermanus. Each place has its own character and I found Vermont to be best of the three. 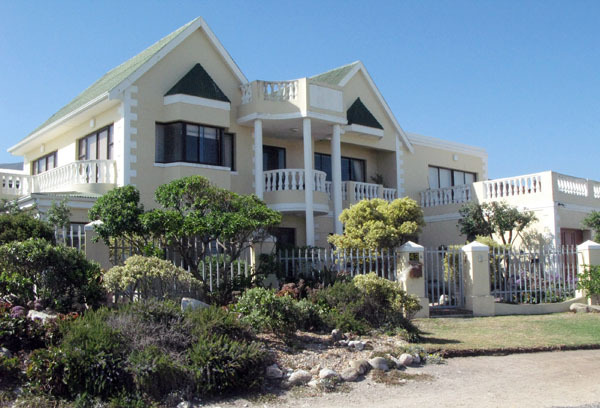 They all have one thing in common and that is they are all situated in Walker Bay and are great places, at the right time of year, for whale spotting and viewing. 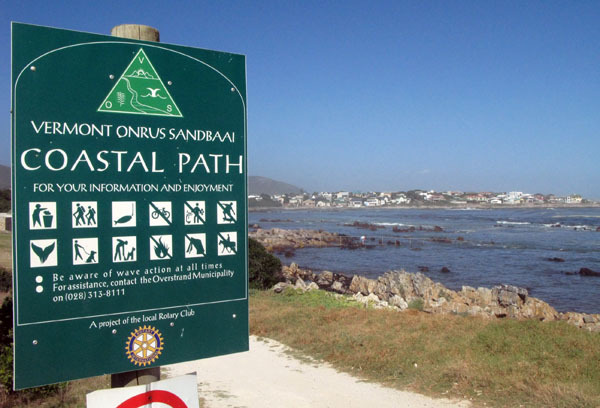 Great coastal hiking trail that links the three places. 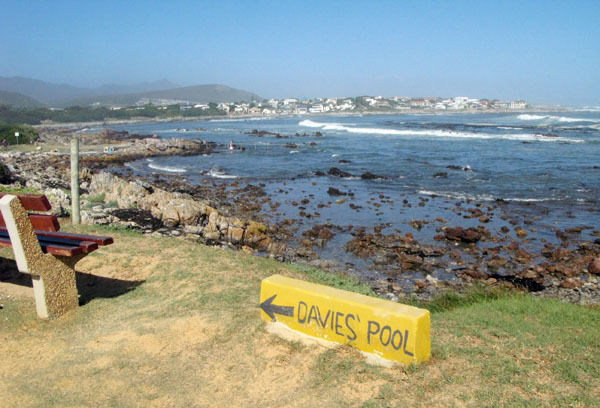 Davies pool with Onrus in the background. The pool is directly in front of the Onrus Caravan Park. A view of Vermont from the highest point I could find. 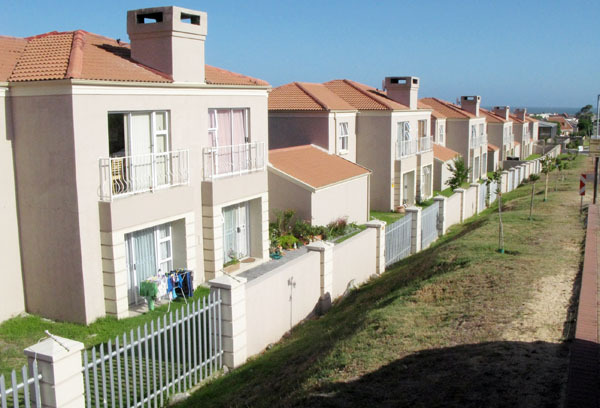 Vermont is not only a residential town but is becoming increasingly popular as a retirement village with many security type estates. 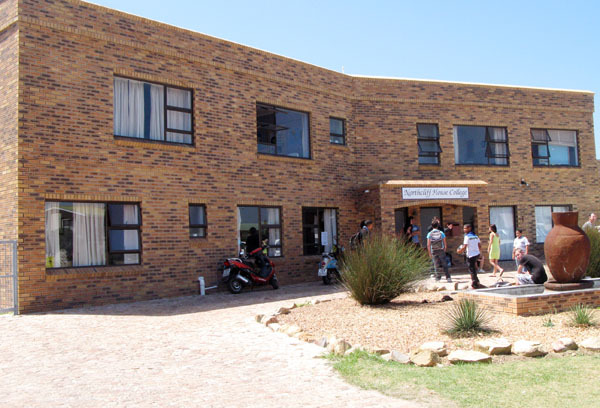 Even though Hermanus is just 10 minutes away they also have a modern shopping centre. 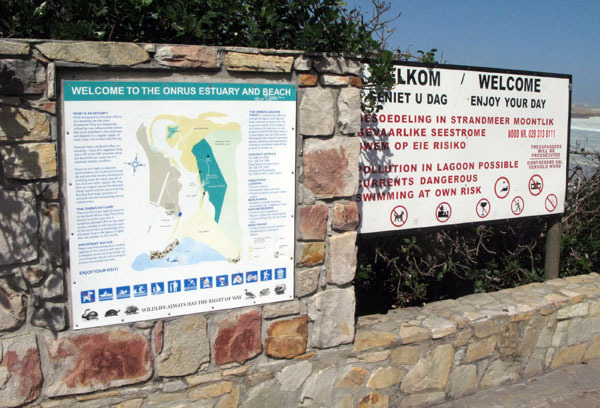 The next place you come to as you head down the R43 towards Hermanus is Onrus. Actually the tree villages are linked and it is difficult to tell where one ends and the next one starts. 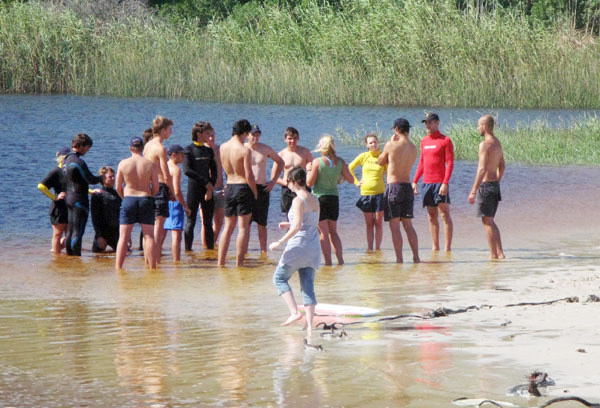 The Onrus River and lagoon are accessible next to the beach. The safe lagoon area which is next to the beach. To be honest the swimming here was the best of the three areas. 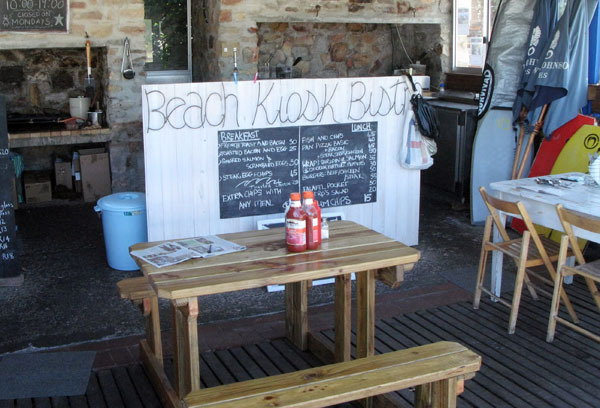 The Beach Kiosk Bistro at the beach. Good place to stop for breakfast. One of the good looking “sea side cottages”. The “Mission’s House Gallery. I saw quite a few art galleries in Onrus. 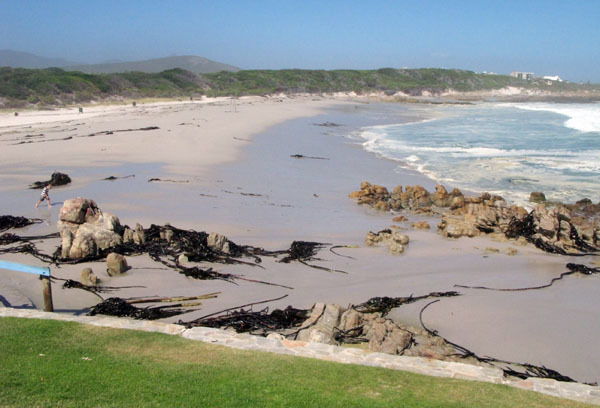 The last place you get to just before you reach Hermanus is Sandbaai. 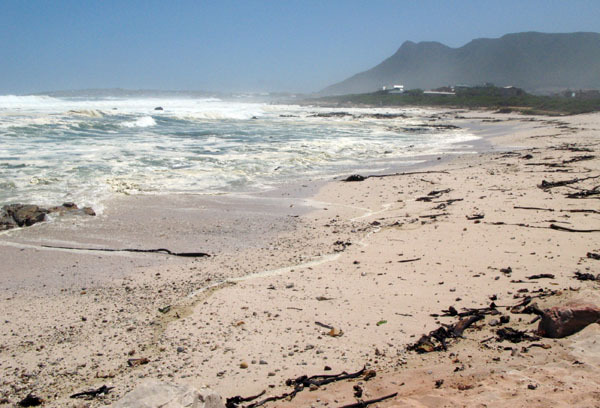 Unfortunately there had been a massive sea so the beach was not looking it’s best. 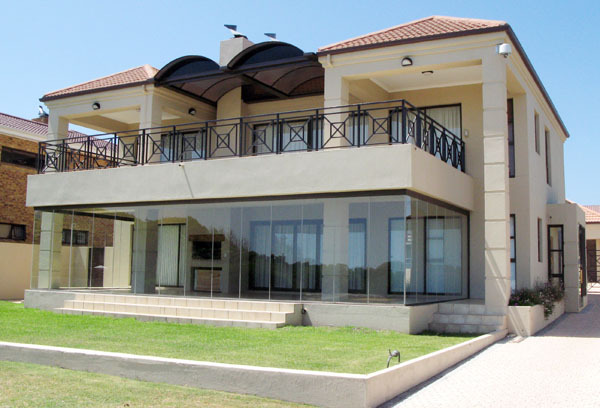 As with most sea side places I have visited there are some pretty big houses. 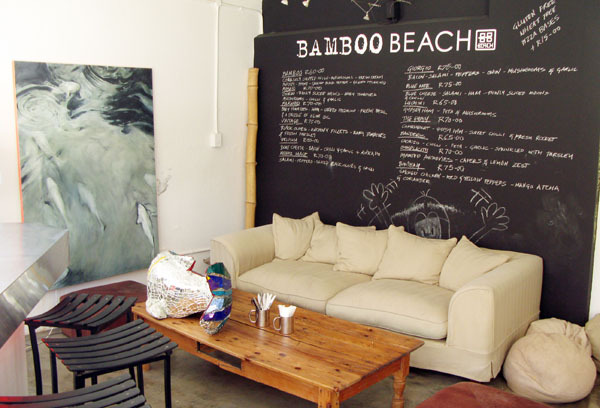 The bottom section of one of the older houses has been turned into a restaurant called Bamboo Beach. 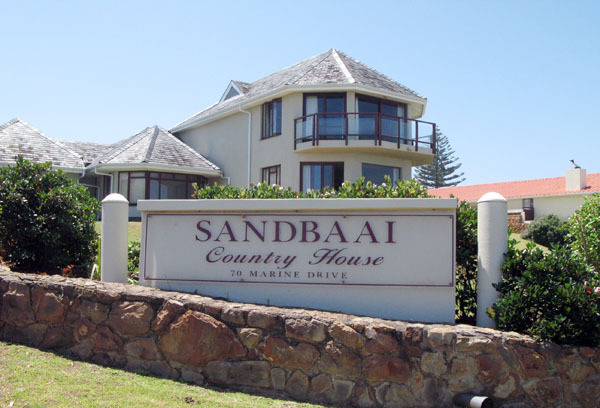 Also discovered that Sandbaai has it’s own private college called Northcliff House. 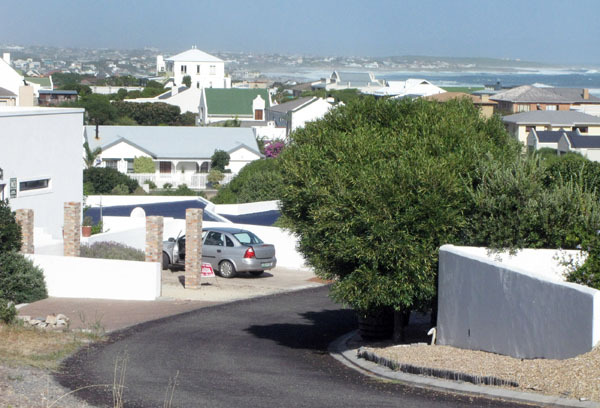 At the junction of the R43 where one turns right to go down to Sandbaai there is an intriguing shopping village on the left which is well worth exploring. 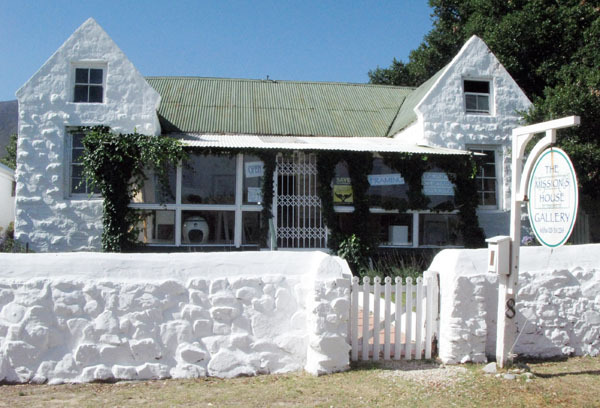 There are art galleries, restaurants, an interior design studio and a wine village shop where all of the local wines can be purchased . 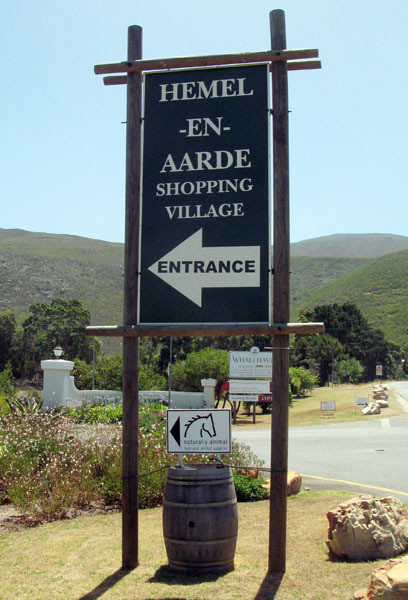 Hemel en Aarde Shopping Village. 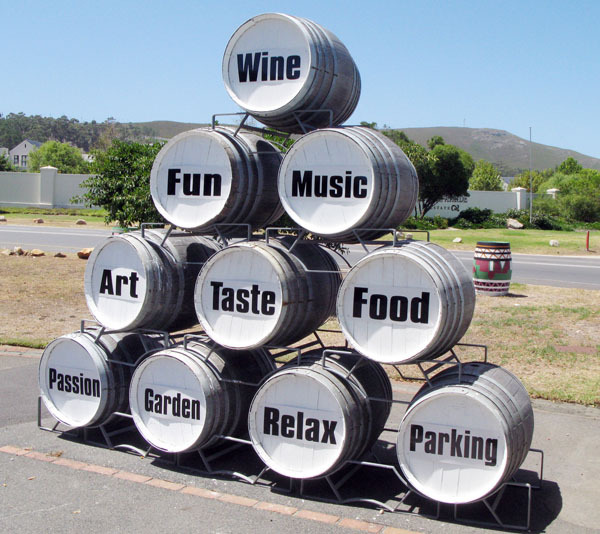 Interesting use of old wine barrels. 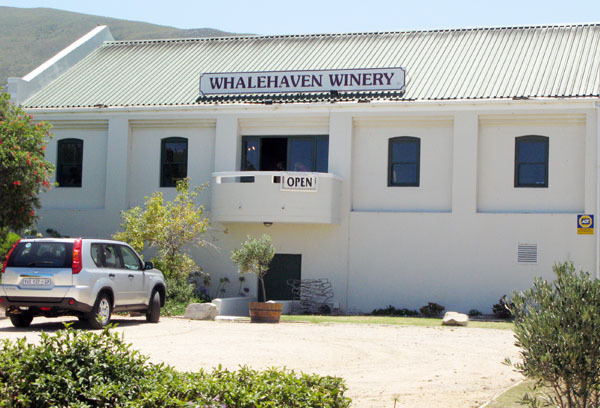 There are a quite few wine shops here and you can also go for tastings at the Whalehaven Winery. There really is a lot to see and experience in the three villages so try and make a day of it – have breakfast, go swimming, look through the art galleries, have lunch, taste and buy a few bottles of the local wines (some of them are excellent) and just have a wonderfully relaxing day.